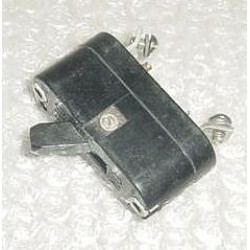 10A Warbird Aircraft Circuit / Toggle Breaker. Manufactured by Klixon / Spencer Thermostat Co. P/N C-6363-10A. Non-working item sold for display only. 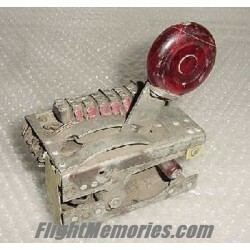 10A Warbird Aircraft Circuit / Toggle Breaker. Manufactured by Klixon / Spencer Thermostat Co. P/N C-6363-10A. Non-working item sold for display only. ..
NEW, nos, Vintage Aircraft Headset. P/N HE-251-002 or FSCM16575. Spec H-251A/U. NSN: 5965-01-182-3384. 3 1/8" U.S. Navy Vintage Warbird Jet Mark 2 Mode 2 Bomb Station Selector Control Panel. There is some paint on face of panel that will need to be removed. Sold as is. Do you happen to know the type of aircraft this item went on?? If so, PLEASE email us with that information so we can make the correction and put the item in the correct category. Please include item number for our reference so we can make sure we correct the right listing. THANK YOU!! 3 1/8" U.S. Navy Vintage Warbird Jet Mark 2 Mode 2 Bomb Station Selector Control Panel. There is some paint on face of panel that will need to be removed. Sold as is. Do you happen to know the type of aircraft this item went on?? If so, PLEASE email us with that information..
U.S.A.F. Fighter Pilot Lighted Vintage Chart Holder. P/N F1065-1. NSN: 1680-01-072-4874. 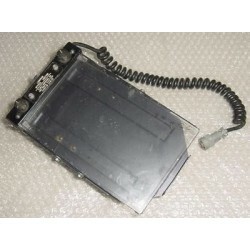 Lighted surface, 28V, measures 5 1/4" by 7 5/8". Attach bracket will have to be repaired, (see photo), otherwise it is in good condition. 3 1/8" U.S.A.F. 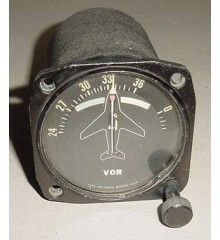 Warbird Flight Simulator Vertical Speed Indicator. Manufactured by The Hickok Electrical Instrument Co. P/N 580-422. Very clean item. It would make an excellent show item of the office or home or as a mock up panel instrument. Operational when removed. I believe it works on 50VDC but not certain. Very hard to come by!! 3 1/8" U.S.A.F. 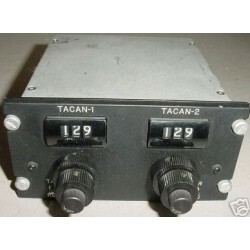 Warbird Flight Simulator Vertical Speed Indicator. Manufactured by The Hickok Electrical Instrument Co. P/N 580-422. Very clean item. It would make an excellent show item of the office or home or as a mock up panel instrument. Operational when removed. I believe i..
U.S.A.F. Warbird Jet Aircraft TACAN Control Panel. Manufactured by Gables Engineering. P/N G-1818. Exceptionally clean item. It shows exceptionally well and it would make a great addition to a mock up panel or simply as a display item on the bookshelf or desk. U.S.A.F. Warbird Jet Aircraft TACAN Control Panel. Manufactured by Gables Engineering. P/N G-1818. Exceptionally clean item. It shows exceptionally well and it would make a great addition to a mock up panel or simply as a display item on the bookshelf or desk. 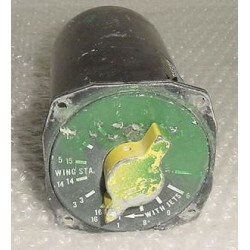 Do you happen..
2 1/4" USAF Fighter Aircraft Position Indicator. Very clean item. It shows very well and it would make an excellent show piece for the bookshelf in the office or home or just as a mock up panel item. 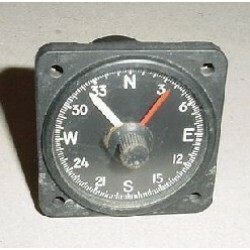 2 1/4" USAF Fighter Aircraft Position Indicator. Very clean item. It shows very well and it would make an excellent show piece for the bookshelf in the office or home or just as a mock up panel item. Do you happen to know the type of aircraft this item went on?? If so, PLEAS..
Vintage Warbird Aircraft Landing Gear Up - Down Switch. P/N unknown. It measures approximately 4 3/8" by 3" by 3" deep, (not including wheel position switch assembly, 6" tall including it). Extremely complex switch assembly!! It was removed from a salvage aircraft. 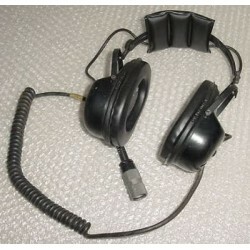 Warbird Pilot / Copilot / Aircrew Headset. Manufactured by Sonetronics. It was the standard headset used for several decades for military aircraft and it is still found today on several warbirds. It is in good condition.